Our story starts in the heart of Cajun country in my hometown of Eunice, Louisiana. As adults, my wife and I ended up in Oregon, but never lost the craving for true authentic Cajun food. After sharing our recipes with friends, we were encouraged to bring Cajun products to a broader audience. That’s when A CAJUN LIFE® was born. 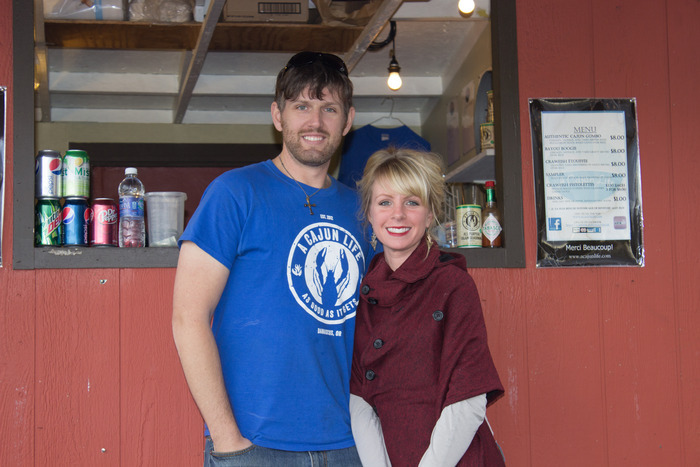 Built around food, family, and friends, We started as a little part time food cart in Damascus Oregon and grew to 4 restaurant locations before deciding to focus on growing our packaged goods line. Today, we are a company with a vision of bringing great tasting authentic Cajun food and lifestyle products to homes all across the globe. Blended and packaged within minutes of my hometown, we are able to provide the authentic Cajun flavor most "Cajun" products are missing! Our products are as authentic as they come and most boast the Certified Cajun seal! It's a certification that only true Cajun products are rewarded. From our table to yours, enjoy our line of Certified Cajun Products!